FoodThoughtsOfaChefWannabe: Mealoaf, Smeatloaf, Double Beatloaf! Name that movie?!?! My husbands favorite all time movie! Anyway, I have finally mastered the mystery that meatloaf has always been to me. I never liked it, it seemed like nothing more than hamburger in a loaf pan, and I dreaded that my mother covered in in ketchup or tomato sauce. YUCK! As I grew older, I never liked it any better, UNLESS it was drowning in brown gravy. YUM-MO! Another important Chris fact, I adore FAKE, straight from the little 33 cent package brown gravy! One of my secret indulgences! Since my husband loves meatloaf I took it on as my mission, to concoct and bake the perfect meatloaf. I actually used a few tried and true tricks that I practice while making meatballs. It isn't my meatball recipe but it COULD be used as such. You may find some of the ingredients peculiar. Milk. The acid helps break up the proteins in the meat to make it tender and less clumpy. Hot sauce. People always assume the addition of hot sauce in any recipe means its hot and they don't like spicy and they totally disregard it. Please, understand, the addition of the hot sauce, just adds another layer of flavor. It Is not enough to even taste any hot, trust me. Poultry seasoning, is my secret ingredient and if my husband knew I put it in, he would DIE because he claims to hate it. Never seems to inhibited to throw some meatloaf down his ol hatch! LOTS of breadcrumbs! Celery, carrot and onion, is easiest food processed, you can even cook it in some boiling water first if you choose. I must hide veggies in my husbands food because he hates them. Have you ever considered the ridiculousness that is hiding veggies from a 45 year old man? I know....spoiled rotten. If you choose to omit this step or just used finely chopped onion, I encourage you to soften it until translucent in olive oil first. A nicely cooked meatloaf deserves more than a hunk of raw onion to chomp down on. The most important however is how you mix it. Use a hand mixer or stand mixer and let the entire mixture mix for a good 3-4 minutes. 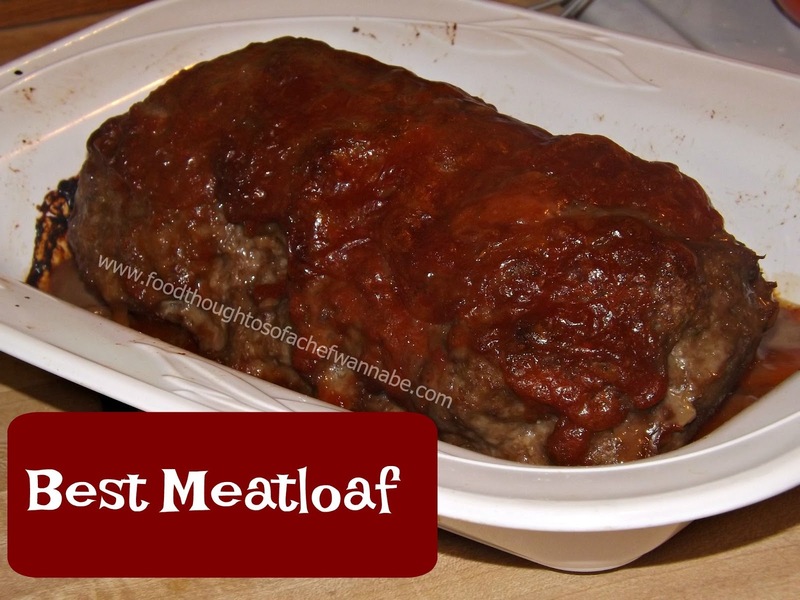 It changes the consistency of the meat and makes the absolute perfect meatloaf. I mean this is like, THE STEP you must not skip. ADJUST your salt and pepper to taste, I happen to enjoy salt, way to much, so you might want to use half as much and salt individual portions to taste. 1 tbsp fresh chopped parsley-1tsp dried, try and go fresh! Mix all ingredients EXCEPT ground meat together well, add ground beef and ground turkey and mix well. Using your hand mixer, blend mixture for 3-4 minutes. Or put into your stand mixer and let it rip for 3-4 minutes Turn into loaf pan, or form loaf shape and put in 9x13 pan. You can also divide into mini meatloaves. Top with ketchup mixed with brown sugar, BBQ sauce or leave plain to top with brown gravy! Bake 350 degrees for 45 min - 1 hour. Let rest for 15 min before slicing. So.....GO, enjoy some good old fashioned meatloaf! Maybe add some mashed potatoes, some nice fresh green peas? And don't forget plenty of brown gravy! Sing while you cook this week. Make your family wonder if you have gone crazy! Its late...sleep well, wake up and eat well! Hmmmm...I'm not sure about that egg in the middle. I like meatloaf, Jim DESPISES it! He claims his mom made it ALL. THE. TIME. I've made it once in the 17 years we've been married! Oh, and meatballs in the crockpot???? He claims they taste like meatloaf. **sigh** Is that quote from "The Goonies" or "A Christmas Story?" I can't remember. Meatballs cooked in a crockpot of Sunday gravy.....for hours...yes. Same with chili. I used to despise meatloaf, my mom made it all the time too. She made roast beef shoe leather even MORE...which is why I despise it to this day. What a cute post. My husband won't eat meatloaf and I really enjoy it so I make it when he's going to be out and then I have enough for a sandwich the next day. "Anonymous" and I have similar husbands.